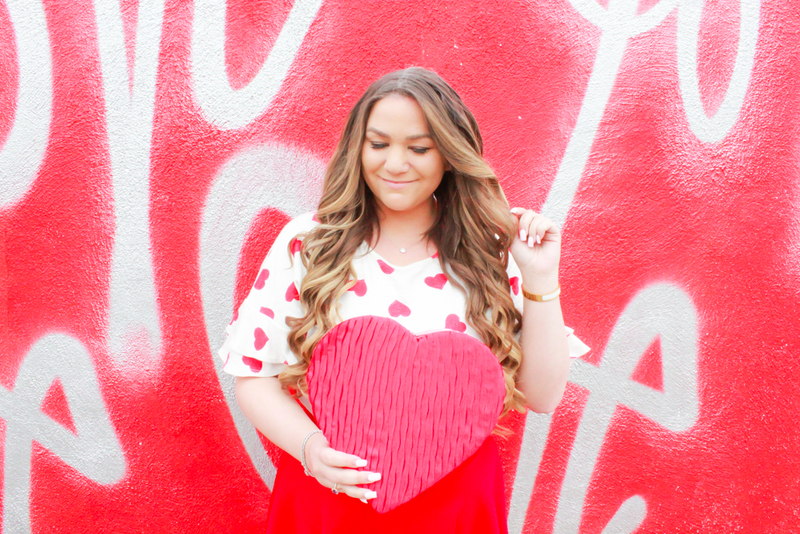 Valentine’s Day is upon us + that means plenty of hearts, love, flowers + of course…chocolate! 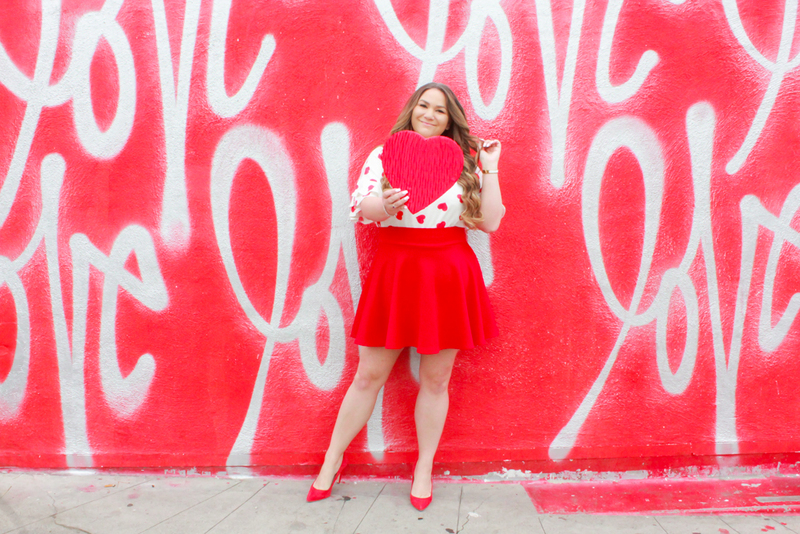 My boo + I celebrated Valentine’s Day early in Florida to avoid busy crowds + fixed menus at restaurants (I highlight recommend that if you want a romantic night without crowds + hiked up prices etc). 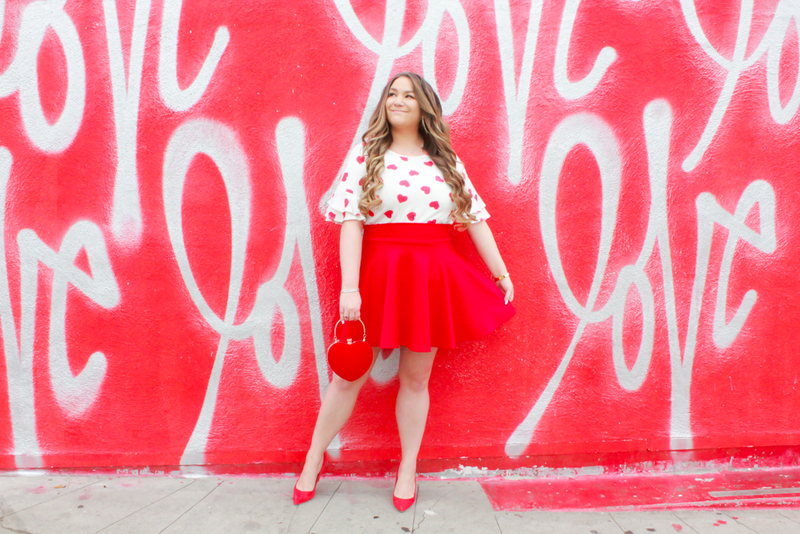 One thing I am currently loving is this outfit I put together to shoot in front of the famous Culver City Love Wall – one of my favorite mural walls in LA! 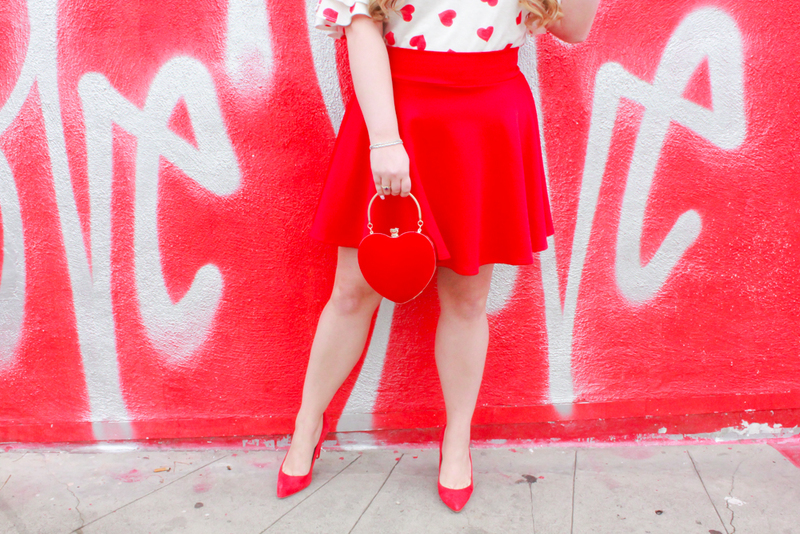 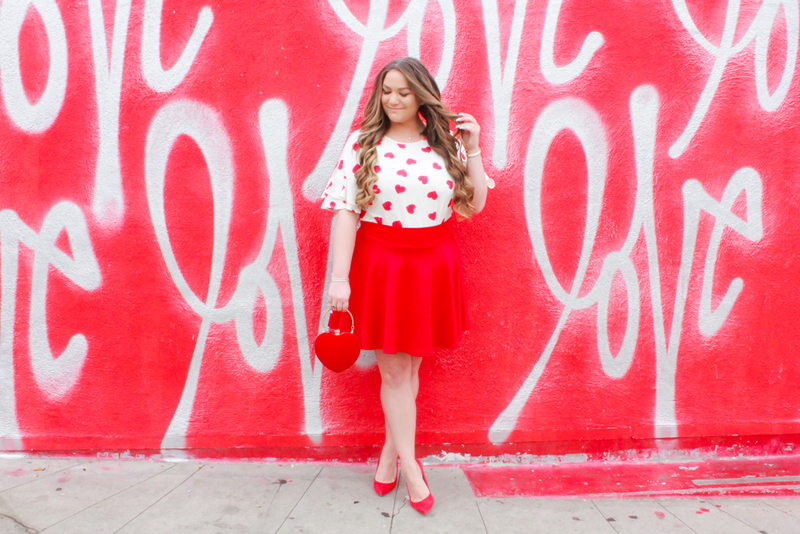 I don’t think there is anything for ‘Valentine’s Day‘ than red + hearts so I think I got my fill with this look. 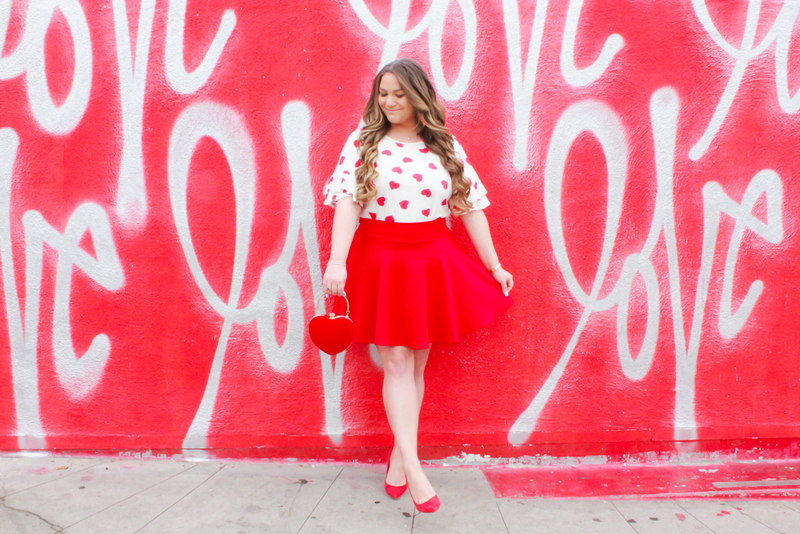 I paired this top with a simple red skater skirt – this was such a good buy + is perfect for so many occasions (I wore it all holiday season long + now it is perfect for Valentine’s Day). 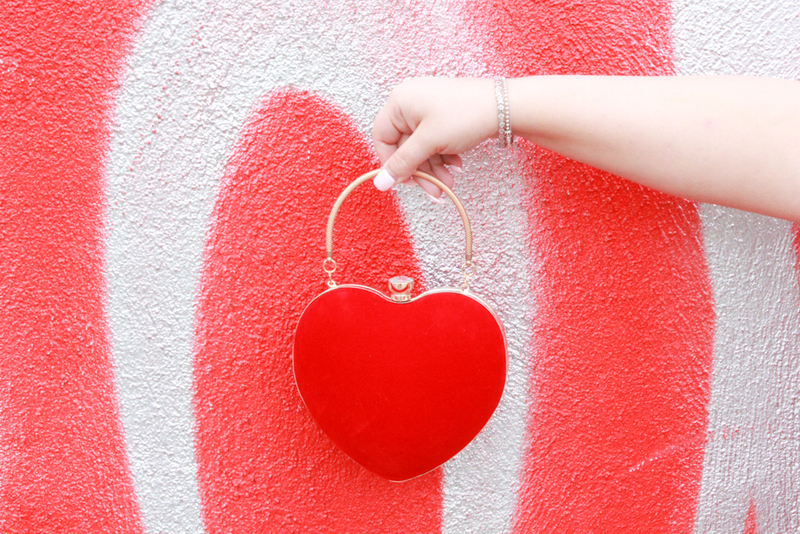 It retails for under $30 on Amazon + is adorable for any occasion (it also comes in other colors like hot + light pink as well). 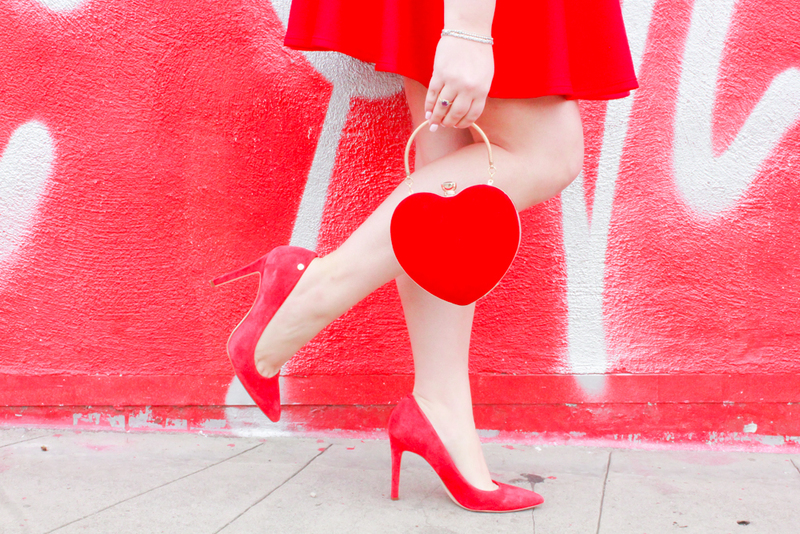 I had to wear my favorite red suede pumps for V Day as well – they were such a good investment (I snagged them last year during a Nordstrom sale).